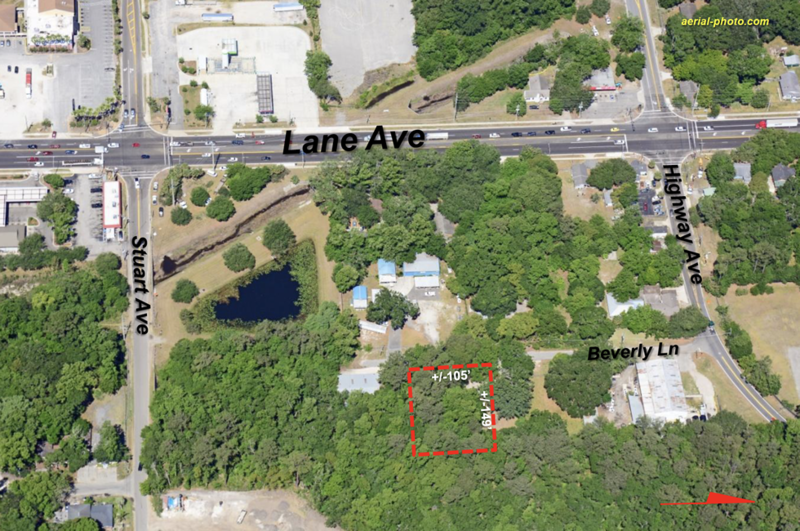 LAND: +/- .36 acres with approximately 105’ fronting Beverly Lane (+/-105’ x +/-149’). ZONING: IH (Industrial Heavy) outside storage, container, or contractor’s yard. UTILITIES: Potential well, septic and JEA electric. NEAR: I-10, I-295, Lane Ave, Highway Ave, JAXPORT and Cecil Commerce Center.